An injury can happen anywhere. You could rear-end someone on the way to work, slip and fall at the grocery store or break your leg playing sports. Responsibility for these accidents would either be yours or in the grocery store scenario, the negligent store owner. But what if you’re injured at work? Who’s responsible for paying your medical bills then? There are federal workers’ compensation laws but they only apply to federal government employees. Each state creates and enforces their own workers’ comp laws. It’s important to understand the laws in your state. So we will look at Nebraska’s workers’ compensation laws, what they entail, and how they affect individual employees. Nebraska state law requires employers to carry workers’ compensation insurance for employees who are injured or contract an occupational illness on the job. Employers have to carry workers’ compensation insurance for full-time, part-time, seasonal, temporary, and minor employees. Companies do not have to provide this coverage to independent contractors. They are responsible for their own benefits. Federal employees, railroad employees, independent contractors, and most volunteers. Domestic servants or agricultural laborers. Individuals who are self-employed, sole proprietors, partners, or limited liability company members. Company officers who own more than 25% of the company’s stock. Executive officers who work at non-profit corporations and make less than $1,000/year. The injury or disease was a direct result of and occurred during employment. OR the contract to hire was done in Nebraska and the employer was engaged in Nebraska, regardless of where the injury occurred. What Benefits Are Employees Entitled to? Wage-Loss: If the injury or illness affects the employee’s ability to work, they will be paid wage loss benefits. These are broken down into total disability or partial disability benefits and depend on the unique situation. Medical: When an employee is injured on the job, the employer is responsible for all “reasonable” medical expenses including hospital bills, crutches or wheelchairs, prescriptions, prosthetics, and, in some cases, travel expenses. Permanent Partial Loss of Member: These benefits are paid when an employee loses use of or completely loses a body part. Compensation is typically 2/3 of the employee’s salary multiplied by a set number that is determined by the body part affected. Permanent Partial to the Body as a Whole: An employee will receive these benefits if there is permanent loss or impairment to the whole body. Wages are 2/3 of your salary times the percentage of the disability that was incurred. Temporary Partial Benefits: This benefit is applicable when the employee can work but not in the same capacity as before. Benefits are calculated by finding 2/3 of the difference between former wages and current rate of pay and can be paid to the employee for up to 300 weeks. Vocational Rehab: This gives the employee a chance to be re-trained in their former job with their disability or be trained for a new job that is more suitable for their circumstances. Death: If the injury results in the employee’s wrongful death, the surviving spouse will receive 2/3 of their former salary until he/she gets remarried. Surviving children will also be entitled to a death benefit. The family could be entitled to $6,000 for funeral expenses. What Should You do if Injured on the Job? In Nebraska, workers’ comp benefits are not based on fault unless the employee was “wilfully negligent”. What matters is the on-the-job injury was a result of the job’s required duties. Whether you’ve sustained a catastrophic injury or a minor one, tell your employer ASAP. An on-the-job injury may require both you and your employer to fill out an accident or injury report. See a doctor as soon as possible. Which doctor you can see may be up to you or it may be up to your employer. Read more about how to choose a doctor for a work-related injury and talk with your employer to ensure you make the right choice. Listen to your doctor. It is an absolute necessity to follow your doctor’s instructions when dealing with a workers’ comp claim. Get a copy of any doctor’s notes that outline your work restrictions and give a copy of these notes to your employer. Track how much time you have spent away from work as a result of your injury or illness. Keep all receipts for medical expenses, prescriptions and any equipment that you are required to use during treatment (crutches, wheelchair, etc.). Never sign any documents unless you understand them. This is where it starts to become a good idea to have the help of a Nebraska workers’ compensation injury attorney. What Should You do if Your Employer Does Not Pay Benefits? There is no guarantee that your employer is going to pay workers’ comp benefits. Despite what Nebraska law says, there is a possibility your employer could make it difficult for you to get these benefits. If this is the case, call the Nebraska Workers’ Compensation Court at 800-599-5155 and report the problem. While they can’t give you legal advice, they can file a dispute resolution to help resolve the issue. Employees can also seek the help of a lawyer in filing a lawsuit. Nebraska’s Statute of Limitations requires that lawsuits be filed within two years of the injury date or the date of your last compensation. This is only applicable if you have been receiving workers’ comp benefits but your employer has cut them off. If your employer is understanding of your situation, there may be no reason to hire an attorney. While this process can be handled without a lawyer, the relationship between you and your employer could sour as a result of the incident. If this happens, you’ll be glad to have an attorney who has your best interests at heart. Despite how confident you are in your ability to handle the situation, there’s no harm in consulting a workers’ compensation attorney. 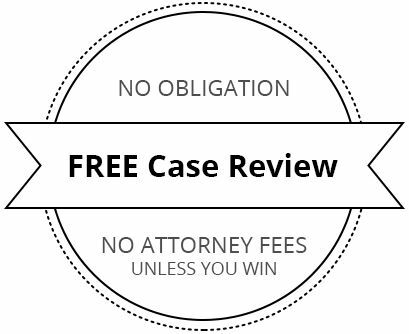 At Hauptman, O’Brien, Wolf & Lathrop, P.C., every consultation is free and confidential. We can help you determine the best way to achieve your desired outcome. Workplace injuries are unfortunate, but they’re not something you have to go alone. Contact us or give us a call at 402-241-5020 to speak with an Omaha or Bellevue workers’ compensation attorney today.